I will never forget you. The seeds of love and hope you planted in my heart continue to blossom like a flower and make my heart grow bigger. I am a better, more loving person because of you. 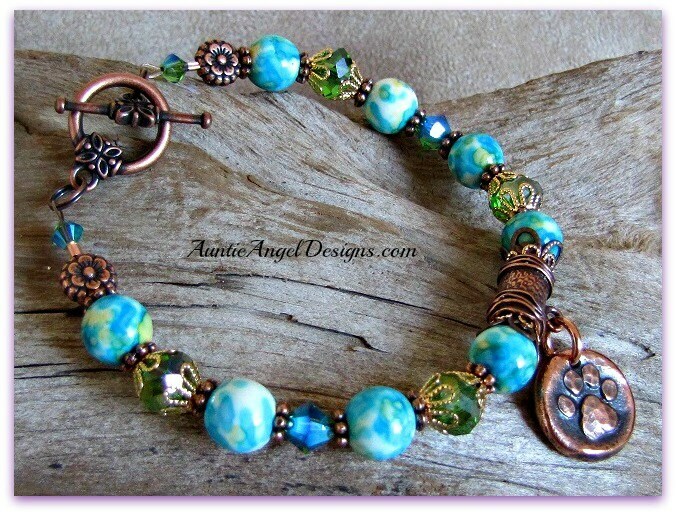 The "Forget-Me-Not Pet Memorial Bracelet" is lovingly handmade by Auntie Angel Designs as a sweet reminder to carry with you of a beloved pet who has passed. This cheery and inspirational pet sympathy bracelet is made with painted ocean jade beads, bright green crystal-faceted beads surrounded by fine gold-plated and copper bead accents, and genuine Swarovski 2X AB crystal-faceted beads. 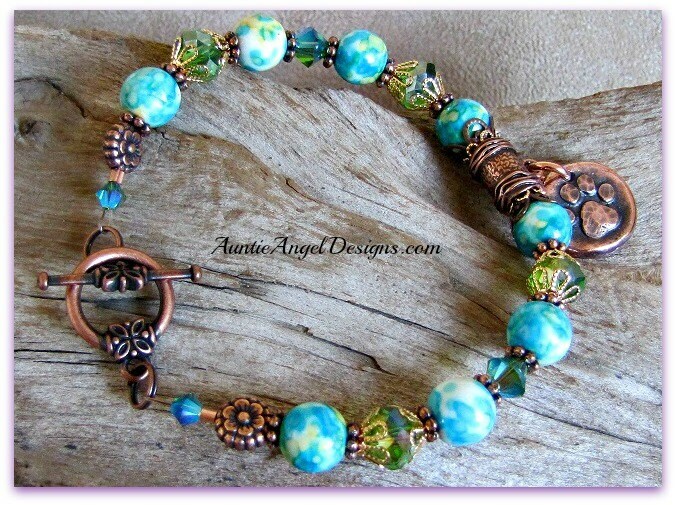 Near the antiqued copper butterfly-inspired toggle clasp are two adorable copper flower beads. 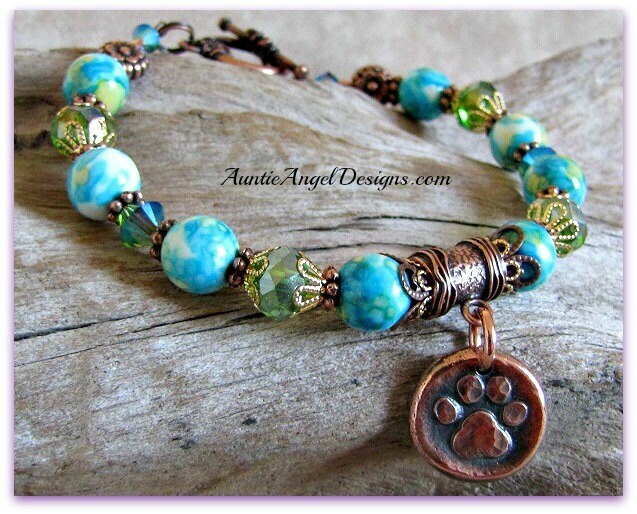 A beautiful artisan copper paw print charm dangles from an antiqued copper charm bail This is a stunning pet memorial bracelet to remind you, the pet mommy, of the fun, cherished memories you shared with your beloved fur baby. 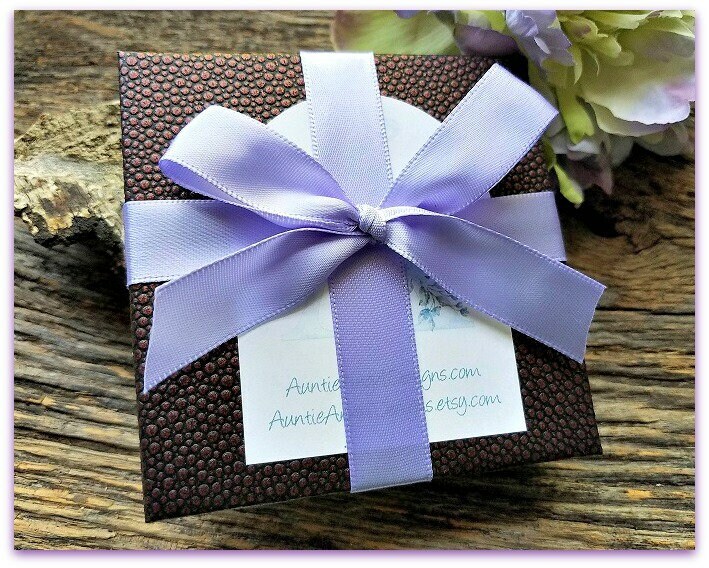 This stunning forget-me-not flowers pet tribute bracelet comes in its own gift box with ribbon and is ready for gift-giving. 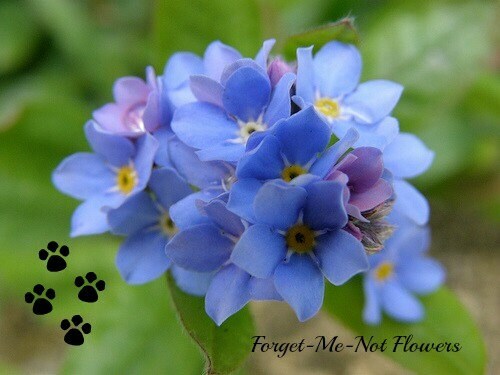 Visit my sister Etsy shop at www.inlovingmemoryofyou.etsy.com for more pet memorial gifts.